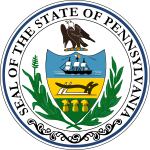 The Pennsylvania Gubernatorial election of 1986 was held on November 4, 1986. Democrat Bob Casey narrowly defeated Republican Bill Scranton III, in a race that featured two very high-profile candidates. Lt. Governor Bill Scranton III ran unopposed for the Republican nomination. The major candidates for the Democratic nomination were Bob Casey, the former Auditor General who had several times previously been defeated in the primary for this office, and Ed Rendell, the Philadelphia District Attorney who would later become governor in 2002. The affable Casey had a reformist but conservative track record that made him popular in rural areas and unionized towns, while Rendell had a strong urban base. After being defeated in the Democratic primary for governor on three prior occasions, Casey finally won his party's nod, by beating Philadelphia District Attorney and future governor Ed Rendell. Casey, a moderate with strong labor ties and pro-life viewpoints, was often to the right of his Republican opponent on social issues; Scranton, whose father was a leading moderate, was pro-choice and attempted to connect with the fiscally conservative but socially progressive suburban voter. The race featured back-and-forth polling in the months preceding the election, with the public demonstrating generally positive views toward both figures, but growing weary of their negative campaigning that dominated the contest. However, it was one of these many negative ads that helped to sway the election. Then-unknown political consultant James Carville commissioned the creation of commercials that emphasized Scranton's use of recreational drugs as a college student and his open practice of transcendental meditation; as a result, Casey appeared as the more socially conservative candidate, which helped him to garner a surprisingly high vote total in rural regions of the state. ^ "Our Campaigns - PA Governor - D Primary Race - May 20, 1986". ourcampaigns.com. Retrieved 6 December 2018. ^ Ferrick, Tom (10 February 2008). "Recalling the Maharishi and Carville's Killer Ad". The New York Times. Retrieved 3 July 2013. Doukas, Ozzie, ed. (1987). The Pennsylvania Manual. 108. Harrisburg: Pennsylvania Department of General Services. ISBN 0-8182-0097-9.